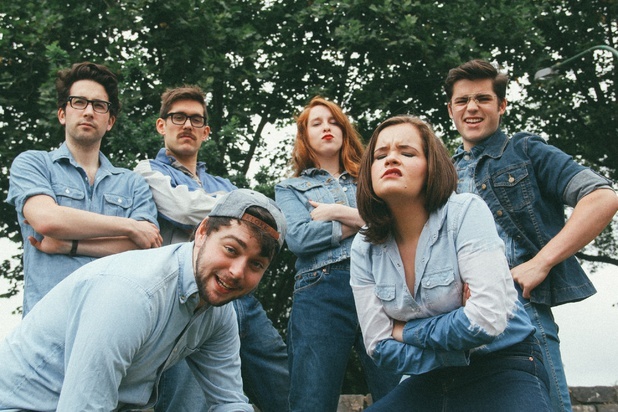 Melbourne locals Seemingly Evil (Alice Tovey, Clare Rankine, Melissa Trancia, Sam Garlepp, Lachie McKenzie, Will Reinehr and John Liacopoulos) returned to MICF this year with a fresh bunch of sketches. As the title would suggest, Mix Tape is a grab bag of skits with no unifying theme. Some are snippets of satire with a local bent, poking fun at tram inspectors and the like. Others wander into the realm of the absurd, such as a man going through a painful break-up with his microwave. A good mix tape is well-constructed, paying careful attention to the transition from song to song. Seemingly Evil’s Mix Tape was more akin to an iPod on shuffle, fading to black and re-setting after each sketch. I found these cuts detracted from the momentum of the show somewhat, and served to emphasise the disconnected nature of the content. This would have been fine if the quality of the sketches was consistent, but pausing for applause after each sketch really highlighted when one wasn’t received as well as the others. For an up-and-coming sketch group, Mix Tape is a solid piece of work. The show was uneven, but entertaining. There were plenty of good nuggets of comedy, but pacing was an issue. A few of the sketches fell flat, taking a long time in the set-up without enough of a pay-off. However, there were also some hits. One sketch featuring some alfoil-hatted visitors from the unforeseeable future of slightly later in 2015 was particularly hilarious. The troupe work really well together and they look like they’re having a heck of a lot of fun on stage. There were plenty of fans in the audience and the room was filled with laughter the whole way through. Mix Tape may be a little shaky, but Seemingly Evil is a group to watch – they’ve got the talent and the ideas to produce something really great, and they’re almost there. 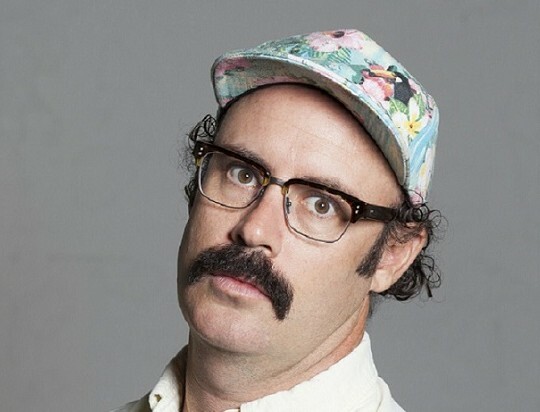 Tim Hewitt’s Suckerfish was a show run at the 2015 Melbourne International Comedy Festival that contained Hewitt and a revolving door of invited comedy acts. This reviewer went on the last night of the festival and it was clear that there was a party atmosphere in the air. Playing his role as the MC, Hewitt weaved in and out of his material in dream like fashion and brought most attention from the crowd when he gave a Chris Farley-like impression which drew gasps when it became apparent that his head was about to explode. Michael Shafar then got on the mic and delivered a structured set of comedy material gaining most laughs from his assortment of travel stories. His story about being robbed in Jamaica was one of the night’s highlights. Shafer is an interesting work in progress who demonstrated great skills of storytelling. All that seemed missing with Shafer was a bit of bravado when he steps up to (boss) the mic. Rob Caruana got onto the stage and wasted no time getting involved with some banter and crowd play. However, after bringing technical props into play, he experienced technical difficulties which prevented him for moving into his material. Ryan Coffey then closed out the night and delivered a solid power set of gags which served as a taster for his Heartbreaker show. He’s got a real stage presence and gave the air of a seasoned pro as he drew laughs from his beard-related comedy. Which begs the question… Were beard gags so popular when they were last in fashion in the 70’s? He closed out with a one man musical piece using unique a unique style of beat boxing which had the crowd in stiches. The overall show wasn’t the most polished this reviewer had seen throughout the festival, but it’s clear that Tim will be better for the experience of having his MICF debut under his belt. Tripod (Scott Edgar, Steven Gates and Simon Hall) have teamed up with legendary composer Austin Wintory and the MSO to produce a suite of songs about video games that sound as beautiful as they are hilarious. This Gaming Life spans the history of gaming, from the pixelated magic of early arcades to the expansive 3D universe of Skyrim, and explores the depth of Tripod’s relationship with the medium. The songs in this oratorio are stunning. Yes, there are plenty of gaming references for the nerds in the audience – I did a little inward squeal when they mentioned the Nesingwary quest line from WoW – but more than anything, this is an ode to the social aspects of gaming. How they can cement friendships, help us traverse the distance between ourselves and a loved one, and create lasting memories in impossible landscapes. This Gaming Life is also incredibly funny. Tripod’s lyrics deftly skewer the industry, gamers and their concerned loved ones. A song targeting the absurd designs of many female characters was my personal favourite. As a special added treat, we also got to experience a beautiful performance of Wintory’s Journey score, complete with some choreography and highly suspect costumes from Tripod. Partnering with the MSO for this show was absolutely inspired. 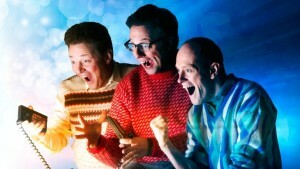 The impact of the orchestra emphasised the scope of Tripod’s history with gaming. Scod, Yon and Gatesy have the kind of on-stage chemistry that can only come from years and years of working together, and it’s an absolute joy to see them in Hamer Hall in a performance of this magnitude. Kelly Fastuca has spent the last five years living in New York. After some very authentic public transport experiences, she’s returned with some killer material and an eerily perfected mid-western mom accent. Now she’s back in Werribee, and while all her friends are starting to grow up and have babies, Fastuca is still struggling to take care of herself. Fastuca’s stand-up is as sharp as her KFC eating habits are sloppy. In I Need An Adult, she covers a lot of familiar themes – dating, body image, friends having families – but her endearing personality and infectious energy keeps the jokes original and surprising. Fastuca takes a refreshingly blunt look at life in your early 30s when you’re not very good at being a grown-up. Her material is clever and delivered with a gloriously bogan sensibility. Despite her time in the US, she still sounds very much like an Aussie. Fastuca’s performance style is relaxed and she strikes up a fantastic rapport with the audience. She’s immensely relatable, talking about the kinds of grubby behaviours that we are probably all guilty of, but perhaps don’t like to admit. Her bit about eating habits while in a long-distance relationship struck scarily close to home for me, and judging from the knowing guffaws from others around me, everyone could find something in common with the material. Fastuca had the audience laughing non-stop with her quick wit. I Need An Adult is a riotous work of stand-up. Fastuca’s life may be messy, but this show is just about perfect. If you don’t get a chance to catch her before the festival ends, be sure to keep an eye out for her in the future. Fastuca is a genuine comedic talent. 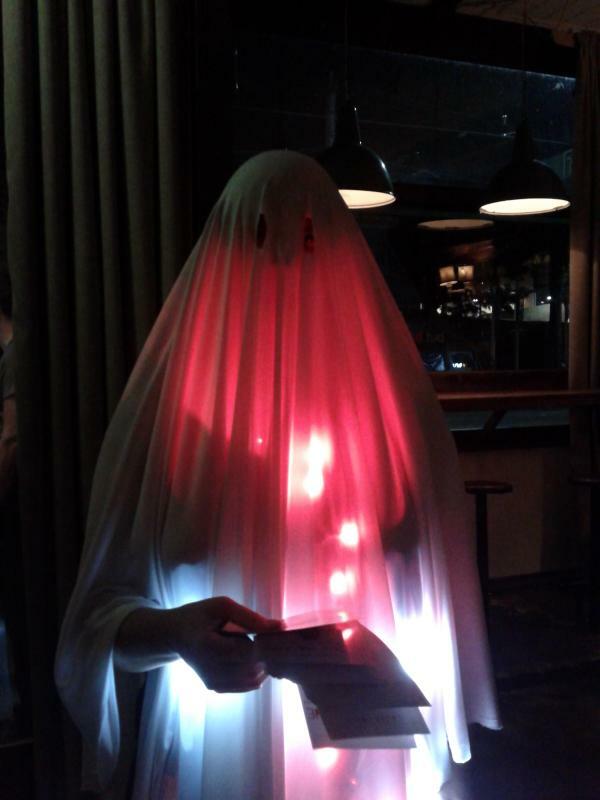 Kelly Fastuca – I Need An Adult is on in the Downstairs Lounge at the Grand Mercure Hotel until April 19. It’s difficult to know where to begin when reviewing a Ross Noble show. So much of his material is reliant on whatever he happens to notice in the crowd that opening night will no doubt be entirely different to the nights that follow. But the one constant that is always present is Noble’s impressive showmanship. It’s truly remarkable to watch his mind at work. Tangentleman is a two-hour epic of a show. The entire first act felt improvised, Noble extrapolating ridiculous scenarios from the tiniest audience quirks. A man wearing two sets of glasses leads to an extended riff on lice that ends with Noble shot and bleeding, riding a stolen spider monkey out of the zoo. Two women in the front row spotting a spider culminates in an Andrew Lloyd-Webber-style musical number. In act two, there was a little more method to Noble’s madness, with a scattering of scripted material amongst the improvisation, but the comedy remained freewheeling and gloriously silly. Noble is a master of the absurd. He takes the audience to some extraordinary places, but you’re never left wondering how he got there. Everything has its own bizarre logic. He has a knack for placing images so clearly in your mind that you would never have dreamt up in a million years. For me, the show had some misses. A few threads ran longer than they needed to and got crasser than my personal tastes. I found that stories that Noble had pre-prepared, like a riff on his resemblance to historian Neil Oliver, were his strongest material. But the reaction from the audience was overwhelmingly positive the whole way through. They were there to see Noble in full flight, weaving nonsense from virtually nothing, and they loved every minute of it. Always incredible and frequently hilarious, Tangentleman is Ross Noble doing what he does best. 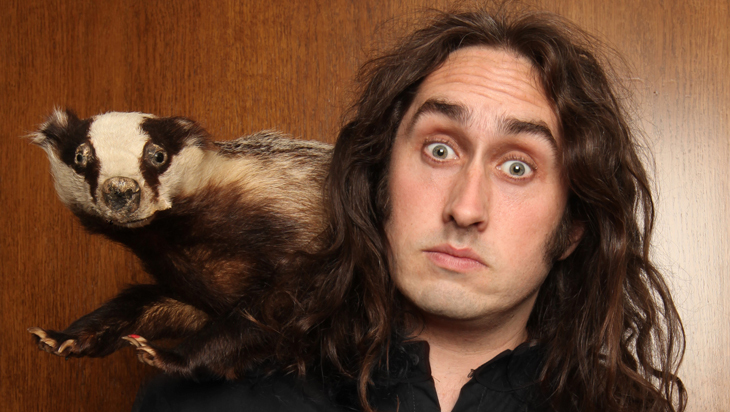 Ross Noble – Tangentleman is on at the Palais Theatre until April 18.